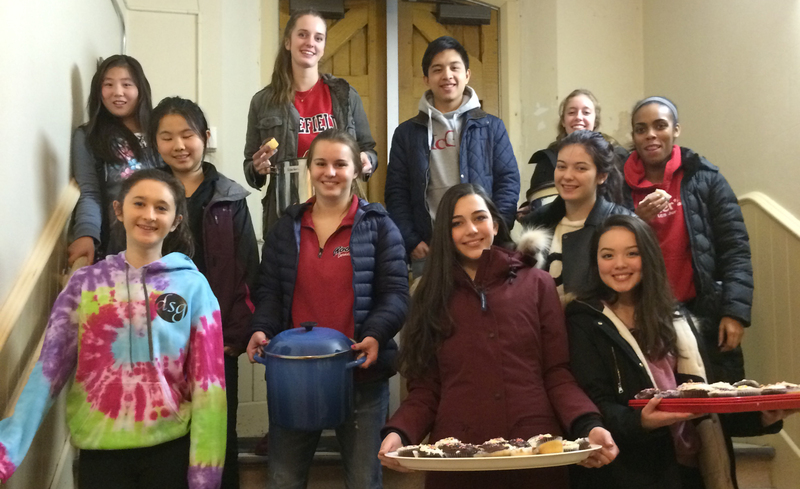 LCS students gather food for those in need while volunteering for the local initiative, Out of the Cold. At Lakefield College School (LCS), community is one of our most cherished values. Whether it’s by establishing a supportive and inclusive learning environment, or forming long lasting connections with teachers, friends or the Grove Society Alumni Chapter, most LCS students remain part of the LCS community for years and often decades after their graduation. We encourage our students to take an active role in shaping their community for the better – both on a local and global level. Each of our students graduates having easily completed 40 hours of community service and often, many more. With the many volunteer opportunities offered at LCS, it’s not difficult finding a cause or project that speaks to your child’s interests. If your child is interested in travelling the world, day and boarding schools like LCS offer many international volunteer opportunities. Just this past March break, three LCS volunteer teams travelled to different corners of the world to experience volunteer service in remote communities. 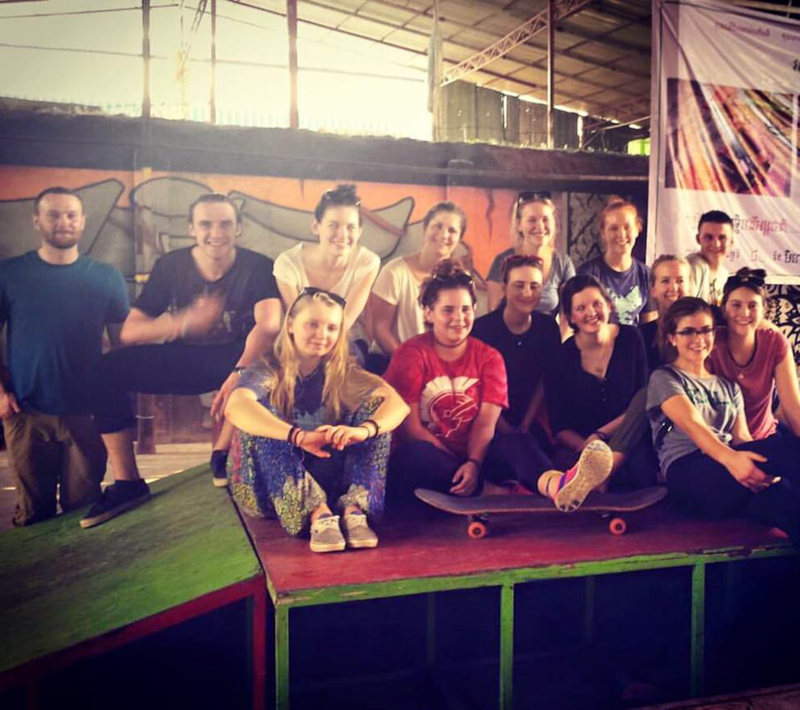 Team Cambodia helped teach local children English and upgrade homes in need of repair. Team Ecuador helped local farmers shear alpacas, milk cows, and put together bags of dirt to grow coffee beans. And Team Costa Rica helped improve local schools and conserve nesting Leatherback and Green Turtles. Service trips such as these, are an excellent opportunity for your child to discover a new culture and perspective, taste new foods, and visit world-famous sites like Angkor Wat and Chimborazo volcano. But even more than that, your child will forever remember their experience of these communities and how it may have changed their world view, the first steps to becoming a global citizen in today’s interconnected world. Volunteer opportunities abound at LCS, both on campus and in the broader Lakefield and Peterborough community. While attending boarding school in Ontario, your child may choose from a variety of local offerings: from mentoring younger children at a local elementary school, and helping seniors with yard work and other household tasks, to joining the Run for the Cure to raise money for Breast Cancer, spending the day hosting Christmas celebrations with the organization Battered Moms and Tots, or even providing companionship at a local retirement home..
Of course, if your child feels passionate about a particular cause not currently included in Lakefield’s roster, we encourage them to initiate their own volunteer project. In fact, many students take on a leadership role and organize their own volunteer activities during their senior year at LCS. Whether your child is interested in organizing a benefit concert, raising money for and participating in the 30 Hour Famine, or in introducing LCS to a whole new opportunity to make a difference, we will help and encourage them to achieve their potential, develop their leadership skills, and make a difference in their community. Are you interested in enrolling your child in boarding school? Book a visit to LCS and discover what makes us a top boarding school in Canada.